I love using regular expressions. They are such a powerful tool, they are complex, concise, complex, expressive, complex, broadly supported, complex and easy to write. The “reg” in “regexp” stands for regular. This is very simple and linear, problem is that most regular expression engines do not respect this definition. Perl-compatible regexps are a good example of non-regular language parsers, and that adds complexity. This makes most regexps engines unfit and too slow/surprising to be used in production code, and I would likely reject any code that uses regexps instead of string manipulation functions (unless strictly necessary). The following paragraphs are a brain-dump of some thoughts about regular expressions. Never, for any reasons, use something like this in your code. PLEASE. If you somehow ended up on this page because you wanted to see how to parse a non-regular language using regexps, please refer to this stackoverflow answer instead (which is a suggested read anyways). 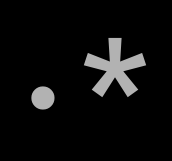 Most regexps engines use backtracking to match patterns. And that can lead to unpredictable behaviors. I think that sooner or later any developer needs to trim a string, and they might be tempted by doing that with regexps. Let’s take a look at the potential consequences. This is so much more tempting than go to the end of the string and match backwards a set of characters and find the first non-empty space and slice the string, or something similar. this is a nasty                                                         example. This will execute (n * (n-1)) / 2 (1596) operations before giving up. As you can imagine, this is not something you want to have deployed in production. Here you can read an interesting post-mortem analysis on this behavior. For more like this exploding behavior take a look at this video. The detail that should worry you the most is that the previous example is a 4 characters long regexp that is trying to match a regular language. Imagine the consequences you could get with a much longer and more complex regexp. NOTE: the golang builtin regexp engine does not exhibit this kind of explosive behavior, but this is not a good reason to use regexps everywhere. If you try to use it, you will find out that the word “interface” is never matched by the capturing group. Before continuing, please stop for a second to think how you would debug it, because this is not a trivial task to accomplish, especially in a complex piece of software that is exhibiting an unwanted behavior. The last thing you are going to blame is a perfectly good looking regexp. The bug here is that having “int” before “interface” makes most regexp engines match “int” and accept that as a good match, without looking further to see if “interface” can be recognized. This means that sets (...|...) should always be in reverse alphabetical order to behave as expected. I hope I have proven my point and made you think twice before using regexps in your code the next time you think about it. That said, let’s have some fun. The following regexps are the creation of an afternoon spent with Anna playing a CTF a couple of years ago. If anything that follows leaves you puzzled, please visit regex101 that will probably explain better than me what is going on in the regexp. If the regexp doesn’t run it’s probably because I’m using some arcane (perl|ruby)-specific syntax, in that case please use rubular. Regular expressions, as said before, should only be able to match regular languages, but this is clearly not the case for PCRE (Perl-compatible regular expressions). Let’s start small: the language a^nb^n. This should only be matched by push-down automata, as it requires a stack to memorize the amount of “a” that have been read, but we can easily write a PCRE to do so, leaving “regular” or “finite state” matchers in the dust. This matches a group made of an “a”, a “b” and optionally itself in the middle, which could only be another “ab” recursive sequence or nothing, and so on. Okay, let’s push it further. The new language is now x^p where p is prime. In case you are wondering, 1 is not prime. The next time you are asked how to find if a word is palindrome, you can show off your regexp kung-fu and get a strong rejection from the company you are interviewing for, but have fun in the meantime. The definition: a palindrome is a string that equals the reversed version of itself. This is starting to be more complex, but bear with me for a moment. Match a character and save it. This group is automatically named with a number. than matching the same matched text. This refers to the outmost matching group. Reference for ruby regexp syntax (aka madness). This is the last snippet as I can feel my sanity slipping away. If you got to this point, thank you, this requires an insanely long attention span, but beware: you still have to see the worst. Language: a^nb^nc^n with n>0 (let’s get rid of the empty string for once). Same number of “a”, “b” and “c”. Lookahead, what comes after it must match what is specified by "..."
Match any non-zero number of "a"
amount of "b" and at least one "c". Thanks for reading and remember: don’t use regexps in your code.